In light of the current industrial growth, thin film coatings which are reliable in respect to their mechanical behavior are an essential feature. 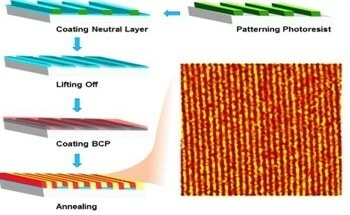 Both single and multiple layers are found in advanced coatings, and the speed of development requires fast, accurate and high-throughput techniques to screen the mechanical properties of new coatings. Bruker’s Hysitron TI Series nanomechanical test instruments offer nanoDMA® III with CMX routines (Continuous Measurement of X; X = hardness, storage modulus, loss modulus, tan-delta, among others), to fulfill this need, measuring mechanical properties rapidly and precisely, as a function of the depth of indentation of the surface of the material tested. CMX is also a method to measure the dynamic contact stiffness at any required point of the indentation testing, continuously as well as directly, which enables true observation of the deformation of small volumes and smaller sensitivities to thermal drift effects. This new methodology is impressively superior to other techniques in efficiency and precision, as shown by carrying out a screening on combinatorically deposited transparent conducting oxide (TCO) thin films for their mechanical properties. A TCO is a combination of mixed metal oxides which show low absorption of optical frequencies within the visible light spectrum, and offer low resistivity when exposed to the joint influence of electronic mobility and carrier concentration. These are highly used materials in many fields such as transparent thin-film transistors, displays, photovoltaic applications, and electrochromic devices. New TCOs are constantly being studied for photovoltaic cells and other related uses, and the main focus is on enhancing the conductivity while keeping them transparent to light. Combinatorial synthesis is a technique widely used to build up libraries containing a wide array of material compositions using one substrate. In the current experiment the combinatorial deposition of a thin TCO film on a substrate spanning 2x2” was tested at 44 locations, which offered 44 compositions. The aim was to study their electrical, structural, optical and mechanical behavior. The nanoDMA III was used in combination with CMX routines to measure the reduced elastic modulus and the hardness of the In-Zn-Sn-O thin films, and the results were then viewed against those obtained with quasi-static indentation. The latter was carried out using displacement-control mode with contact depths between 15 nm and 100 nm. Dynamic CMX testing was conducted using a constant strain rate using identical contact depths, at a frequency of 220 Hz. The substrate effect is an issue during indentation testing, and this was minimized by taking only the uppermost 5-10% of total film thickness, which amounted to about 350±20 nm, as the contact depth used in data analysis. Figure 1 (a)and (b) show the results of hardness and reduced modulus obtained by quasi-static and dynamic indentations respectively. Using nanoDMA III along with CMX, the test occupied 11 hours for all the 44 locations, applying four dynamic indentations per area. On the other hand, quasi-static indentation to obtain similar data over the same depth range took more than a week, or more specifically, 200 hours. This shows that the speed of measurement with CMX exceeds that with quasi-static indentation by over one order of magnitude. The values for reduced modulus and hardness when quasi-static indentation was used were 134.0±2.7 GPa and 11.7±0.2 GPa, respectively. At the same time, using the average of values from the four dynamic indentations, the results were 133.9±2.8 GPa and 11.3±0.4 GPa respectively. These values are highly comparable, which shows a good correlation between the two methods. Figure 1. (a) Hardness and (b) reduced modulus with contact depth in and indium-zinc-tin oxide (In-Zn-Sn-O) thin film measured with quasi-static indentation and dynamic indentation. Figure 2. (a) Hardness and (b) reduced modulus of two indium-zinc-tin-oxide (In-Zn-Sn-O) thin film combinatorial libraries deposited on glass substrate using RF magnetron co-sputtering from three different ceramic targets of In2O3, ZnO, and SnO2. Two separate combinatorial libraries can have their mechanical properties referenced to the composition to explore the relationship between the material composition, the structure, and the property. This is shown in Figure 2 (a) and (b). The area within the triangle highlights the changes in mechanical behavior as the cation composition in In-Zn-Sn-O thin films varies. There is a difference of 7-12% in the reduced modulus, irrespective of composition, with a 5% error. The hardness varies by 15-25%, however, and is increased when the indium content is decreased, with a 5% error. Thus this shows that the use of nanoDMA III in combination with CMX is both rapid and reliable as a technique for mechanical property screening within a system, and offers an ideal solution for testing next-generation materials during the course of development.